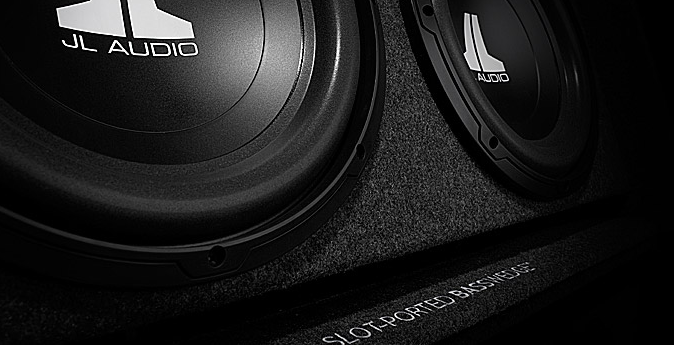 Are you looking into getting a new subwoofer for your vehicle? The JL Audio BassWedge is an excellent option to consider. The JL Audio BassWedge models are the company’s most affordable enclosed subwoofer systems which feature MDF construction and quality carpet with a JL AUDIO logo embroidered onto the top surface for a clean, classy look. Both ported and sealed JL Audio BassWedge systems are available, each engineered to extract optimum performance from their JL Audio subwoofer drivers. Why take a chance with so-called “universal boxes” when you can have a properly engineered subwoofer system for the same price? The clever enclosure design enables a variety of installation options: Forward, rear or down-firing. This versatile design allows the enclosure to be used in a wide variety of vehicles. JL Audio BassWedge systems benefit from solid MDF construction and are finished in high-quality, dark gray carpet with attractive embroidered “JL AUDIO” and “Slot-Ported BassWedge™” logos. Systems are wired, loaded and ready to connect to an amplifier via their nickel-plated push terminals. Are You Living in the Colts Neck NJ Area and Looking to Purchase a JL Audio BassWedge? AutoWorks is an automotive shop that also offers & installs JL audio products & other mobile electronics to towns in the Monmouth County, New Jersey area. We serve serve towns including Middletown, Red Bank, Oceanport, Rumson, Hazlet, Marlboro, Matawan, Long Branch, Holmdel, Ocean Township, Lincroft, Shrewsbury, West Long Branch, Fair Haven, and many more. To learn more about our auto electronics and installation services, contact us today at 732-671-0225 or visit the website.